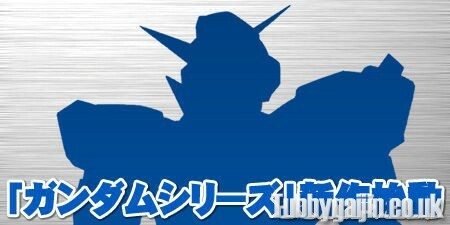 Tubbygaijin.com » New Gundam series to be announced next Monday! New Gundam series to be announced next Monday! Exciting news! The next Gundam TV Series will be officially announced this coming Monday! On Monday 13th June at 13.30 Japan time there will be a special live press conference streaming over at Bandai Channel Live and Gundam.info. Needless to say if you’re a fan of Gundam that’s a date for your diary. Fingers crossed the stream will be available outside of Japan, but even if not mirrors and pics will pop online up quick enough. It’ll also be replayed at 19.00, 21.00 and 23.00. I’m so ready for this, I was done with 00 a while ago and the Unicorn OVAs cant get released fast enough. Now the guessing game begins, is it a new series, continuation, or is it a remake? Seeing as 00 and SEED were both remakes of older series’ it’s quite possible, a dark reimagining of Turn-A could have alot of potential! I’d also be happy with a return to the SEED universe, but there didn’t really seem any further to go with that as the mobile suits had got crazy powerful. What do you think the new Gundam series will be? Cheers to Gundam Guy for posting the info! MG RX-78 Gundam V 2.0... Ikimasu! 8 Responses to New Gundam series to be announced next Monday! I think it’ll be a new SEED series that silhouette is too Strike like. Although I do hope for a new one maybe this that march release they were talking so much about… 3months later. Can’t say I’m not excited though!! Ah man, I’m a little disappointed. We still have Gundam Unicorn though and I can understand why they’d want to attract a whole new fanbase. I’ll certainly give it a go!